What eyeliner style will complement the shape of your eyes? 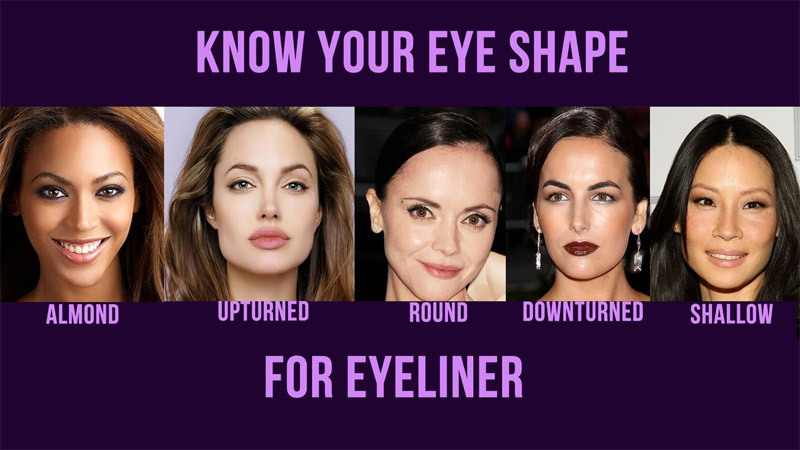 You can enhance the said shape – not really change or “correct” it – with the right swipe of your favorite eyeliner product. Learn from this quick expert makeup guide to come up with the best, most flattering eyeliner look for your eye shape. Almond eyes – This is a classic eye shape that can match pretty much any look. But you may also aim for a classic cat-eye, which can be easily achieved with a two-line flick with a pop of colors. Start from the inner corners and paint on a thick, black line. Go with your natural eye shape. But instead of drawing a long line, stop right outside the outer corners of your eyes. Grab a color pencil (blue, for example) and draw from the bottom lash line flush alongside the black liner. Proceed outward. Have more fun making the wing longer! Monolid eyes – Asian beauty, represent! As monolid eyes tend to be small, their owners have the tendency to make them look bigger through a fake crease. This is one way to go, but here’s another: choose colorful hues over the said technique. Draw a straight cat-eye instead of the usual one that flicks up at the ends. Drag the liquid liner straight across the lid, extending the line out to about the end of the brow. It’s mostly hidden unless you blink, so opt for a fun color instead of the typical black. Hooded eyes – This may be your biggest peeve with this eye shape: that sometimes heavy look due to the way the eyelid sits. The deep crease can make the eyes look somewhat sunken and tired, even if that’s not how it is. Remedy the situation through an all-over liner look, a good day version of the smoky eye. Using a brown pencil, draw a thin line under the lower lash line. Pop the color across a majority of the lid, and then blend the shade up into the crease. Keep the bottom from looking heavy by keeping the waterline clear. Add on your favorite mascara to open your eyes, particularly if you curl your eyelashes first.